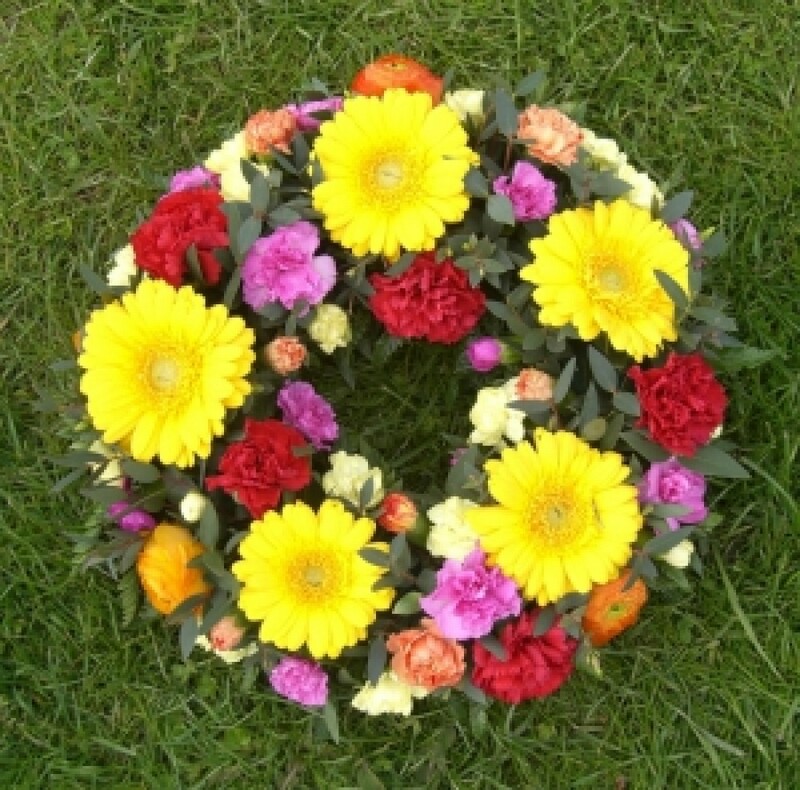 A modern colourful wreath; a fitting tribute to the young at heart. Other colours are available; please specify in the notes section of your order or ask us to call you. Price includes delivery to local funeral directors and if you are not attending the funeral, photographs can be sent to you so you can see what you have purchased.